As verdant vines surrounded it. Until a sunbreak was extended. Long after that sky-tear had mended. 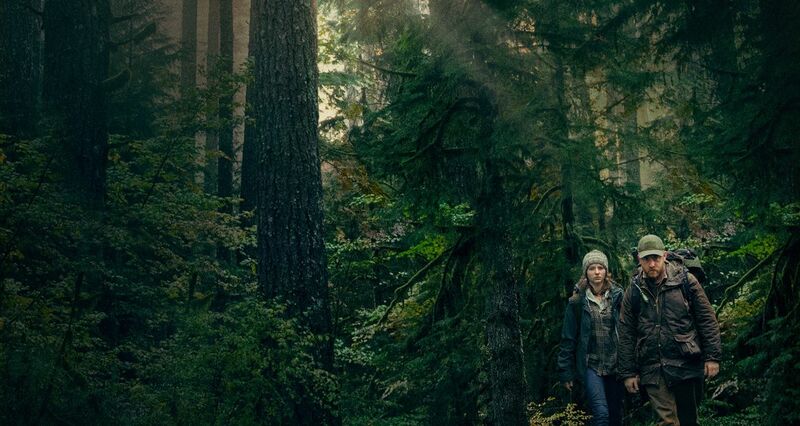 Leave No Trace is like the antithesis of all the loud and flashy Hollywood blockbusters these days. It’s slow, quiet, melancholy, and light on dialogue. Despite boasting two excellent performances from Ben Foster and Thomasin McKenzie, it wasn’t visible enough to get any award love either, but it’s a slow-burn drama that’s still earned much love in cinephile circles. Foster plays Will, a war veteran suffering from PTSD, whose anti-social anxieties have driven him into the lush forests of an Oregon park. There he lives off the land and minimal resources (a tent, a propane stove) and hides himself and his thirteen-year-old daughter Tom (McKenzie) from the obtrusive outside world. Though more curious than her dad, Tom is a loving daughter committed to doing anything that keeps her and her dad together. Soon, though, the world intrudes on their wooded enclave and, when presented with a “normal” life, Tom’s contentment and bond with her father are tested. 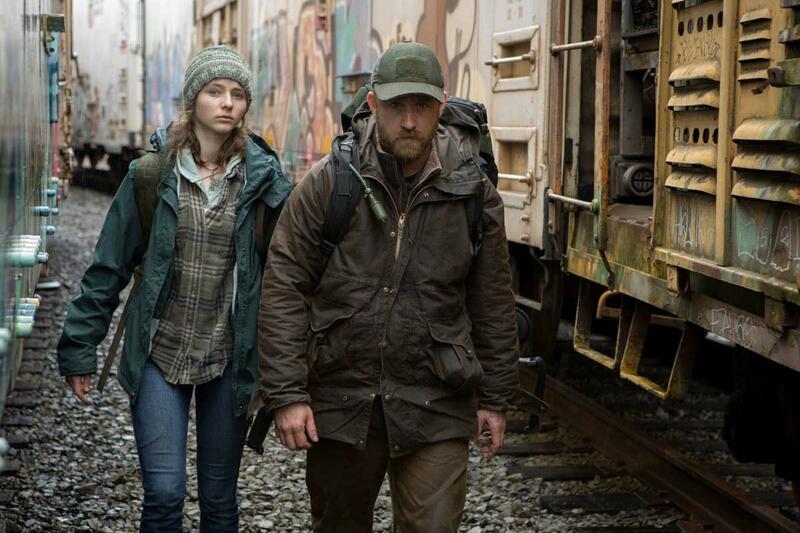 Leave No Trace has no lack of realism, but its human interest, while present and touching even, is kept at arm’s length with little to no backstory on what brought Will to this point. 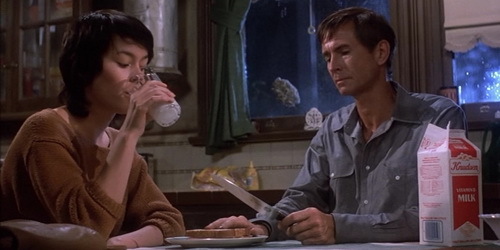 Tom’s relationship with her father is sweet in its devotion and becomes further poignant as they both eventually realize the difference between her normal needs and wants and those of her father. 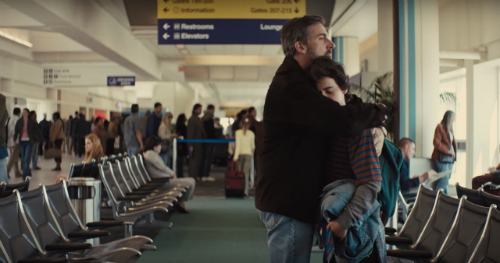 It’s refreshing that she never resents her father and only raises her voice once, a sign of their mutual trust and rare familial bond even when troubled by self-doubt. 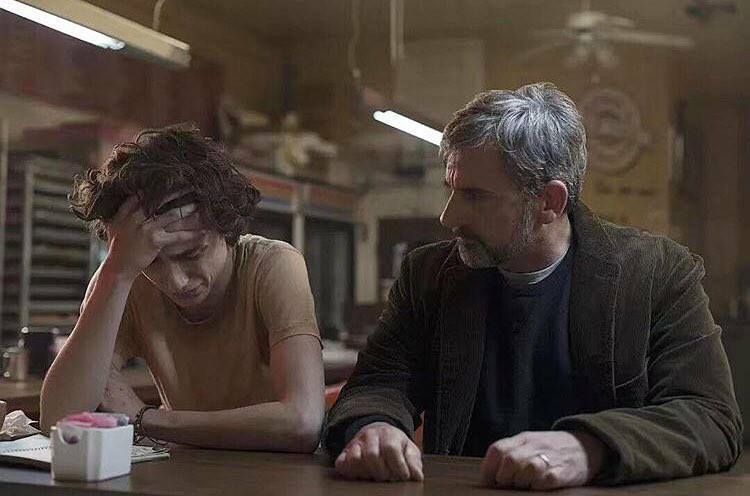 Deliberate action and pensive silence are potently used, especially during some later scenes, and the acting is awards caliber, but this is definitely a critic’s movie. Professional reviewers will continue to adore it (100% on Rotten Tomatoes), while normal viewers will either appreciate its honest subtlety or be bored to tears. I suppose I’m somewhere in between. These are the lessons it pains me to learn. For they never truly leave. Due to his reputation for controversy, I’ve never been eager to watch the films of Lars von Trier. Yet I’ve been long curious about Dancer in the Dark, and my Blindspot series seemed like a prime chance to find out how a musical could also be considered among the most depressing movies of all time. I have a finicky regard for unapologetic downers. I love Grave of the Fireflies and The Elephant Man dearly, yet I can’t stand something like Seize the Day or The Hours. It depends on the film and the person whether it has the desired effect, and Dancer in the Dark hit me harder than I was expecting. I only knew of Icelandic singer Bjork for her strange style of singing, but she proves to be perfect for the role of a Czech immigrant mother struggling to provide her son with a better life. Having settled in Washington State in the 1960s, Selma Jezkova works hard in a factory with her friend Kathy (Catherine Deneuve), rents a trailer from a kind couple (David Morse, Cara Seymour), practices for a small stage production of The Sound of Music, and is slowly going blind. She’s been saving up for an operation so that her son need not bear the same affliction, which begins to impede her daily life. Throughout the first half, the film gives every reason to love these characters, everyone sympathetic and helpful to Selma, including a would-be suitor she rebuffs (Peter Stormare). I could relate to Selma’s love of musicals and admired her commitment to her son, even if her stubbornness got in the way sometimes. Then, by believable but heartbreaking measures, one character’s selfishness and self-loathing become destructive and ruin everything that Selma has built. Dancer in the Dark is not the kind of film I would expect to like, choppily edited and shot with a grainy, hand-held camera in a style that is apparently part of a semi-genre/movement called Dogme 95, which von Trier helped to establish. It’s an odd mixture when this style focused on realism suddenly shifts into the magical realism of Selma’s daydreams, musical segments where the sounds she hears become rhythmic as the colors brighten and friends and bystanders break into choreography. It’s not shot like a typical musical, nor are the songs instantly catchy like something from Broadway. Bjork’s singing is even distracting at times, making the lyrics hard to understand. Yet it’s more about the feelings the songs create, and they strike deep. 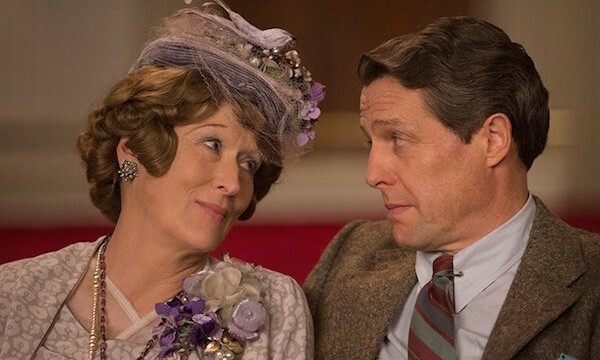 One revels in Selma’s love of musicals, even as it betrays her. After a horrific event, one song plays out the way Selma surely wishes it could go under better circumstances. Again, it’s a strange juxtaposition, but it works, in a way I can only compare to how humor was mixed with tragedy in Life Is Beautiful. With strong supporting work from Deneuve, Morse, and Siobhan Fallon (even a cameo from Joel Grey), Dancer in the Dark proved to be an acting powerhouse thanks to Bjork herself, who staggeringly was passed over for an Oscar nomination despite winning Best Actress at Cannes. She and the film itself may be an acquired taste and a bitter one at that, but their power is undeniable. For the future that no one has witnessed as yet? Propped up by the volatile nature of time. Or drive over ruined, deserted landscapes? Or banned from free thought by a Big Brother head? That strikes from above or attacks from below. That no one recalls since it’s built on forgetting. Not built on the backs of control and dark lies. I think that’s unlikely, but hey, it might be. It’s hard to know how I feel about Snowpiercer. On the one hand, I can appreciate the ambition that went into this epic dystopian vision, and on the other, I’m confounded by the bizarrely unrealistic concept that remains straight-faced throughout all its weirdness and violence. It’s a film I’m glad to have seen once, but I’m not sure I want to see it again. After a half-baked attempt to stop global warming sends the planet into a deep freeze, the only remaining humans are those aboard the Snowpiercer, a high-speed train looping endlessly across the globe. The wealthy live in luxury in the front of the train, while those in the back scrape by in squalor and authoritarian suppression, personified by the loathsome Minister Mason (Tilda Swinton with false teeth). After seventeen years, the have-nots make their final push for change as their leader Curtis (Chris Evans) aims to take the engine. The biggest problem with Snowpiercer is buying into its unlikely dystopia without being distracted by just how unlikely it is. So much science fiction is dedicated to conjuring future worlds where vices are taken to extremes or improbable outcomes challenge our perceptions, so in some ways, Snowpiercer is in good company. But then again (and my views may be tainted by a semi-famous and extremely negative review I read a while back), there is such a thing as too many plot holes. Why is one Korean girl psychic? How is it that the wealthy of the front section have perfectly maintained amenities and clean clothes with no visible manufacturing or service areas? It’s a train after all; there’s only so much room in the cars, all of which Curtis passes through to get to the front, often with random themes, like an aquarium or a rave. Surely this train isn’t as self-sustainable as it appears with no outside resources. Considering the body count and how pyrrhic the battle becomes, how can the ending be viewed as anything but a total downer waving a shred of false hope? It’s a lot to overlook, yet, if you can, there’s much to appreciate as well. The set design and limited CGI effects (mainly any exterior shots) have a convincing world-building flair, and the fight scenes, while unnecessarily bloody, are tense and shocking, with a strange preoccupation with limb amputations. The film does excel as an action movie and has moments of pointed social commentary about the breakdown of society, though its almost cartoonish class struggle themes were done far better in The Hunger Games series. Snowpiercer seems to be divisive, and all in all, I can’t completely agree with either end of the spectrum. It’s not a total train wreck (pun intended) as some faultfinders have derided it, but neither does it seem worthy of its effusive critical praise and 95% on Rotten Tomatoes. I’m somewhere in the middle, dubiously positive you might say. If you can manage to take its grim craziness in stride, Snowpiercer may be the dystopia for you. All stories cast a spell. And leave you in clouds or burdened by weights. Are pulled by the magic that fiction creates. Has broken more hearts or honored more dates. Where soon-to-be-friends and a new home awaits. How do you feel as the world deviates? Those familiar with this blog might already know that I’m a huge fan of musicals. While others roll their eyes or cringe at all-sung films like Les Miserables, I love it. There’s something about the combination of song, lyric, dance, and story that I find particularly appealing and entertaining. However, not all musicals are equal, and all four (sometimes three minus dance) of those ingredients have to be on point for the magic to work. Into the Woods comes so close to nailing them all, yet by the end, I could only wonder what went wrong. Based on Stephen Sondheim’s popular musical, which is just as old as The Phantom of the Opera, Into the Woods weaves multiple fairy tale stories together: Little Red Riding Hood, Jack and the Beanstalk, Cinderella (Anna Kendrick), Rapunzel, and an original connecting tale of a Baker (James Corden) and his Wife (Emily Blunt) seeking out spell ingredients for a desperate Witch (Meryl Streep). 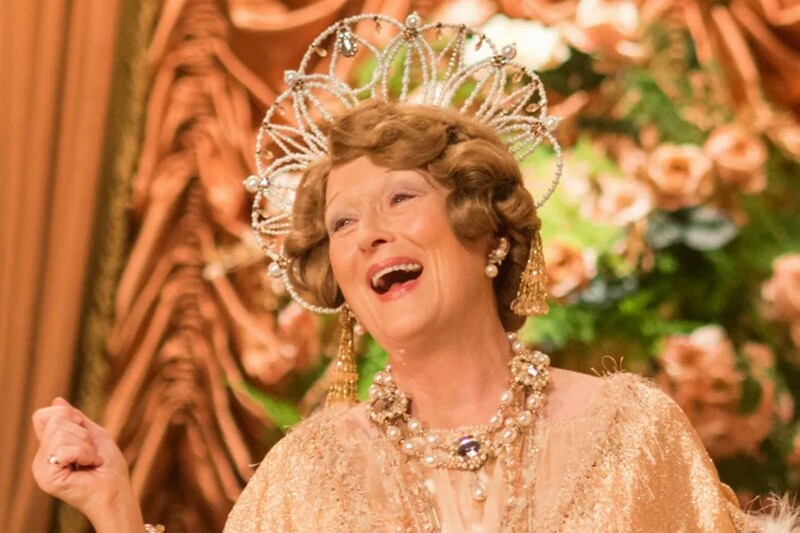 The way the stories blend together and overlap, playing out in familiar ways with unexpected connections, is a joy to watch, especially with hammy but committed performances from Johnny Depp, Chris Pine, and Streep (who shockingly got an Oscar nomination; she’s good, but this is probably her least deserving role). 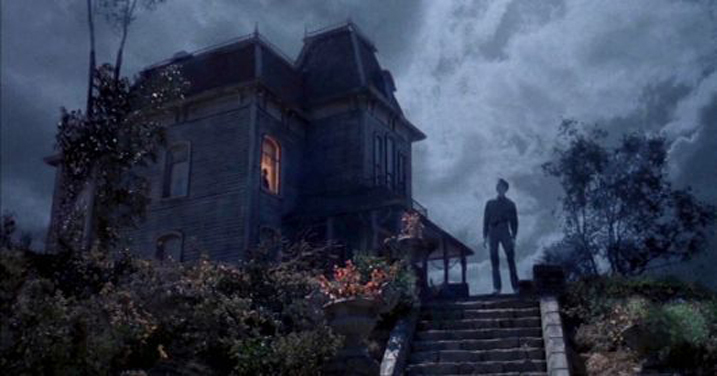 It’s a highly enjoyable movie, or rather two-thirds of a movie, because at a certain point, it’s just…ruined. At a happy moment that could have ended the film well, the story suddenly takes a left turn into disaster and tragedy and shattered reputations. It’s a dark move, which is apparently even darker in the stage version, and it saps most of the enjoyment from the film as a whole. Even if none of the songs are instant classics likely to live long in the memory, the music is the saving grace of Into the Woods. My VC thought the tunes were a bit too repetitious, lacking the complexity or vocal range of Phantom or Les Mis, but, as a poet, I especially admired the clever lyrics and rhymes. It has outstanding production values and strong performances too, but in its effort to offer a darkly unsatisfying take on beloved stories, this fractured fairy tale proves to be a failed musical in my book. My VC and I agree that we would recommend the first two thirds; just bail when the tale goes to pot. Meant to give real life a sorry disparity. Born out of patience, frustrations, and time. After the passion grows ashen with time. Tested then bested by irregularity. They are the mountain true romance will climb. Based on an Ann Patchett novel, Bel Canto flew under the radar last year with very little fanfare, making me think perhaps it was a diamond in the rough worth discovering. After watching it, I’d say it’s more of a nice piece of quartz that could have been shinier. Featuring a plot of revolutionary turmoil and classical music, Bel Canto just doesn’t foster enough interest to sustain its plot, even with strong performances from Julianne Moore and Ken Watanabe. Moore plays an opera singer and Watanabe a Japanese businessman, who are both guests in a South American official’s mansion, only to become hostages when the entire complex is locked down by armed insurgents. The fear and terror of the situation gradually give way to a false sense of security as the weeks drag on, as the hostages begin to bond with their captors and unlikely romances are sparked. Bel Canto has some honestly powerful moments, such as a meaningful opera performance Moore’s character is compelled to give from a balcony. Likewise, the film’s climax is classically tragic in its inevitability, but, in dramatizing the protracted build-up due to the stubbornness of the rebels’ demands, the film just gets unfortunately dull. Nevertheless, the message of peace and humanity between enemies has echoes of the much more powerful film Joyeux Noel, and there are quality performances here. It just takes a little patience to enjoy them.